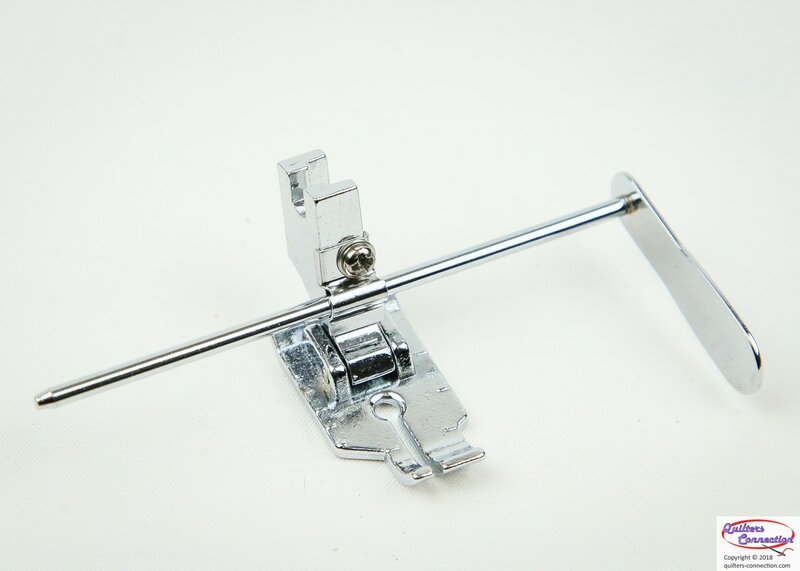 This quilting foot has a removable, slide-in, adjustable guide which can be used for patchwork quilting. This quarter inch foot is also great for piecing. The right edge of the right foot provides a very accurate 1/4 seam. Fits slant shank machines such as the Singer 301, 400 series, 500 series, etc.